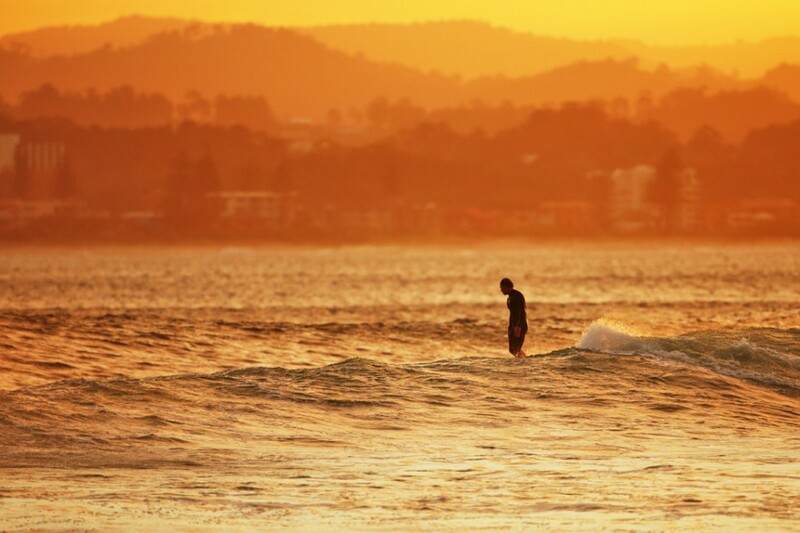 Matador Ambassador Al Mackinnon’s photography from the beaches of the Gold Coast, Queensland, Australia. Greenmount reeling from above with the surfer up and riding in the top left set for a perfect ride. The water colour is something to behold. 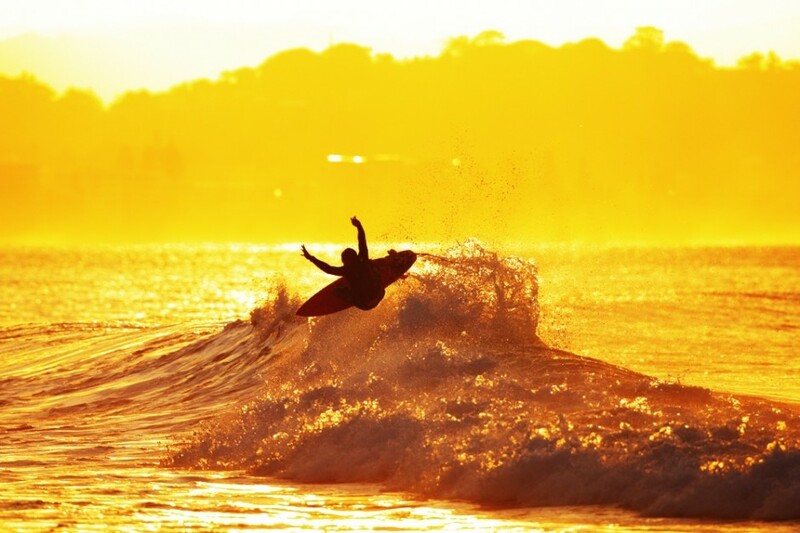 No doubt the etymology of the name Gold Coast arose from the local real estate boom, but it's easy to imagine another origin with sunset surfs like this a regular occurrence. Due to storm systems (generally speaking) travelling from west to east around the planet, it is a rare thing to be on a coastline holding world-class waves where the sun rises offshore and sets over land -- usually it's the other way around. 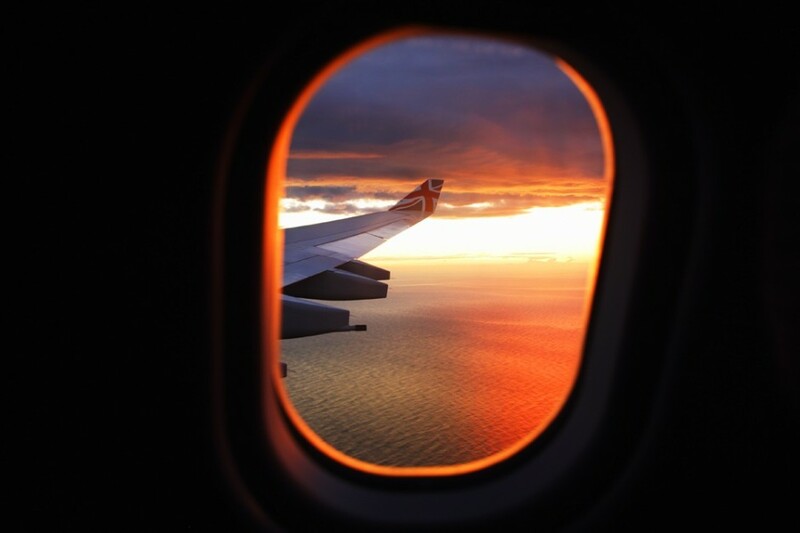 The east coast of Australia is one such place, and on my first visit in 15 years I was welcomed by the most stunning of sunrises -- an auspicious start indeed. 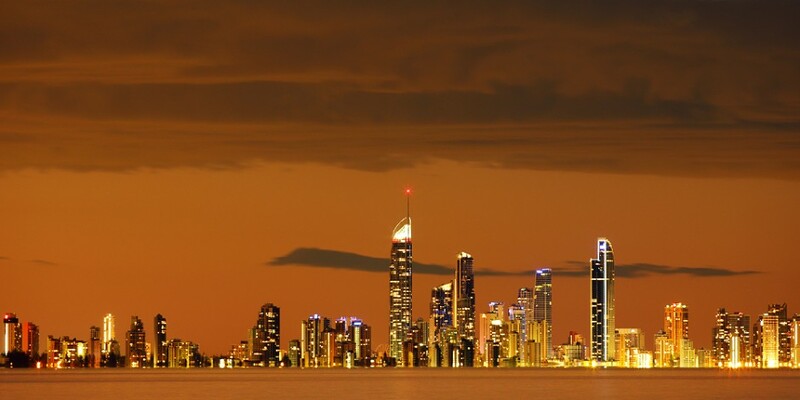 My base on Queensland's Gold Coast was to be the town of Coolangatta, and upon arrival the weather was brooding. 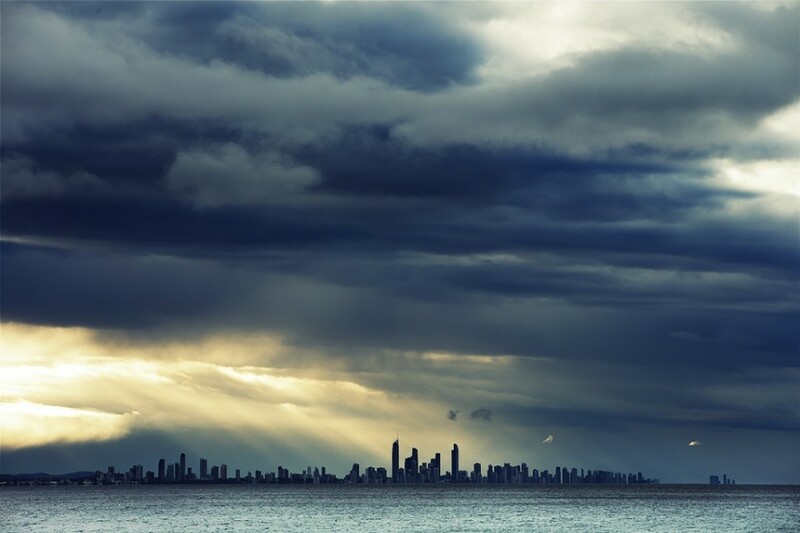 To the north, rain clouds marched across the skies, punctuated by shafts of light drawing attention to the unmistakable silhouette of Surfers Paradise. A fantastic way to see the coast is by helicopter, and I can't recommend Pterodactyl Helicopters highly enough. They bent over backwards to help me get the shot. 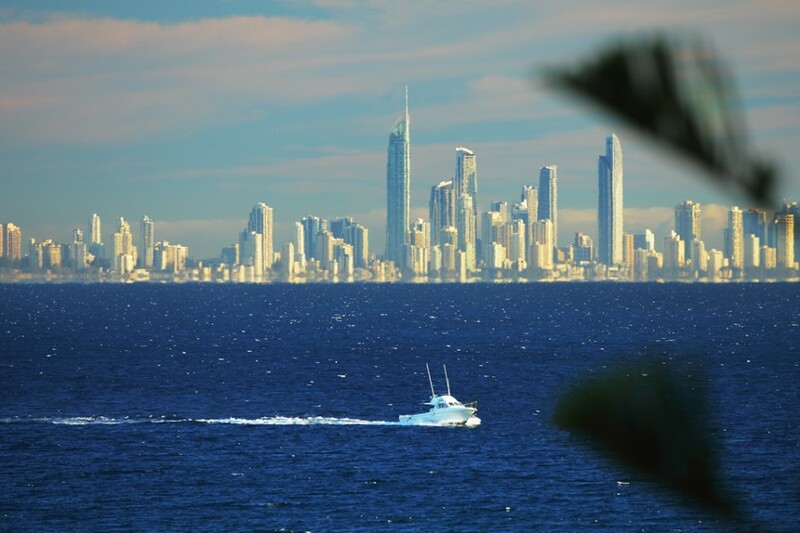 Here, the impressive Q1 tower, at 1,058ft Australia's tallest building, soars resplendent above the surrounding highrises of Surfers Paradise. A myriad of surfing abilities are evident here, and there are few places in the world where the standard of unsponsored surfers reaches such lofty heights. I have no doubt several of the guys I photographed would have a contract in the blink of an eye anywhere else in the world. 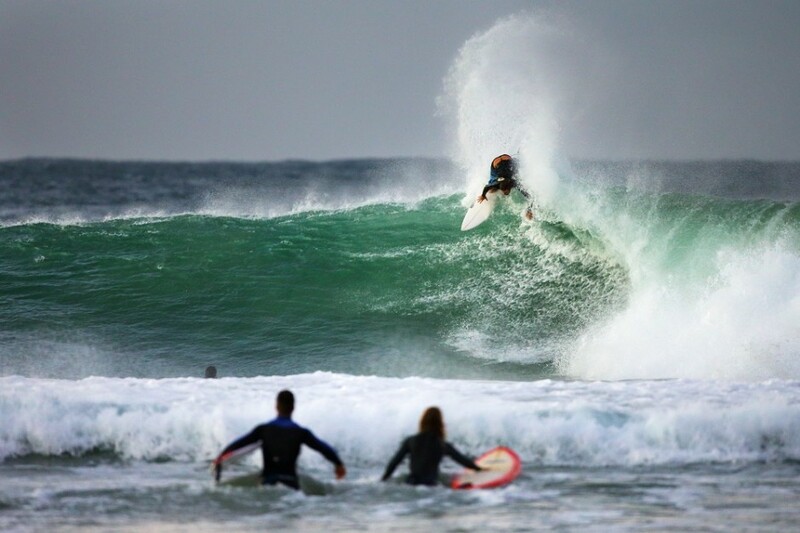 However, with freakishly gifted athletes like current world champ Joel Parkinson and multiple-times world champs Stephanie Gilmore and Mick Fanning calling the area home, competition is high. With the storm came the swell -- serrated, stacked lines pouring down the sand point at the world-famous Snapper Rocks. 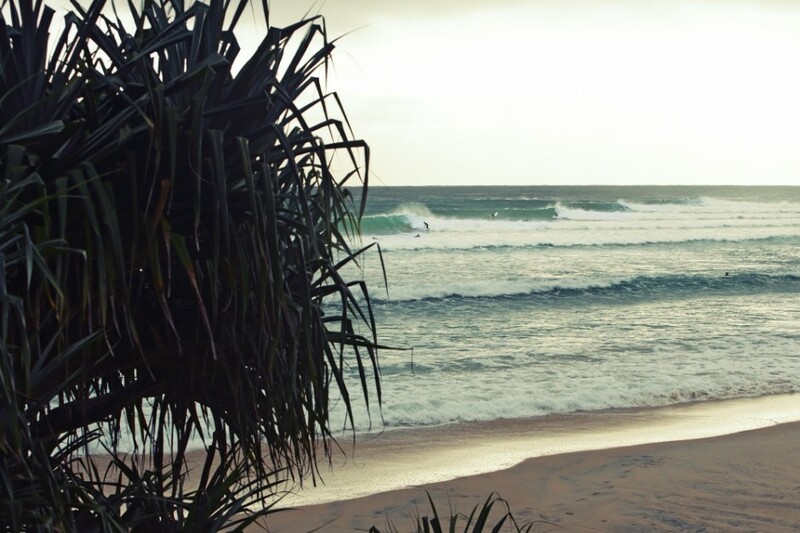 Each year Snapper plays host to the Quiksilver Pro, a leg of the World Championship Tour of surfing. It's easy to see why as these are the sorts of waves surfers dream about from a young age -- I know my schoolbooks were covered in pencil approximations of this. They say every surfer should visit Hawaii at least once in their lives, and I think it's fair to say the same for the Gold Coast. I can't think of a better base than Komune -- one look at the view from my balcony and you'll see why. 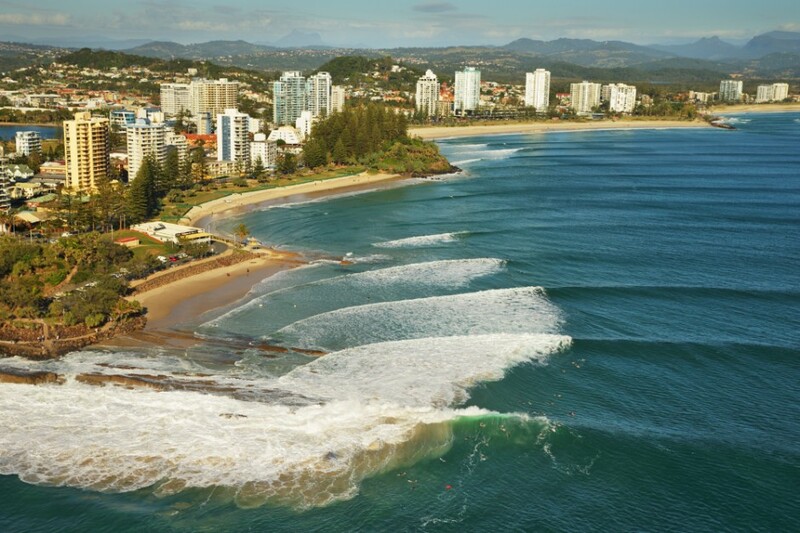 With Greenmount in the foreground, Kirra just beyond, and Burleigh in the distance, it doesn't get better. Each day started with a cacophony of subtropical birdsong, enough to make me momentarily forget I was in the middle of a town. 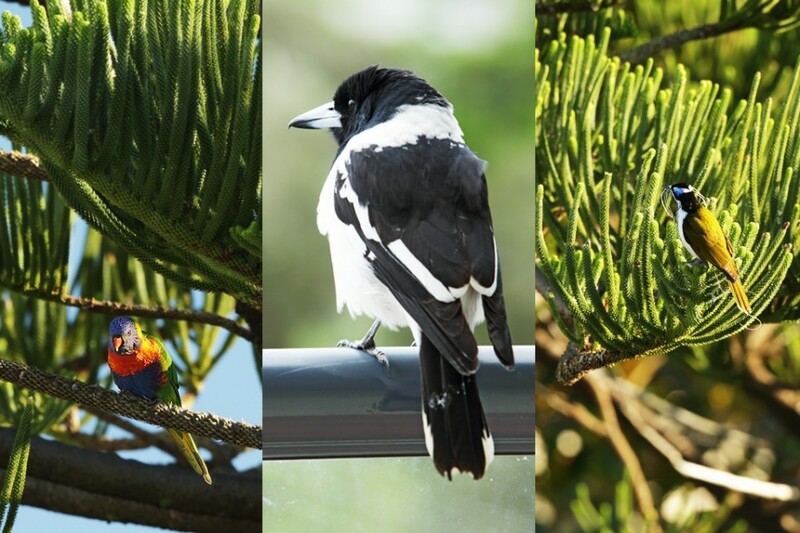 These guys (left to right: rainbow lorikeet, pied butcherbird, and blue-faced honeyeater) were some of the imaginatively named characters that would hang out in the trees just off and sometimes on the edge of my balcony. 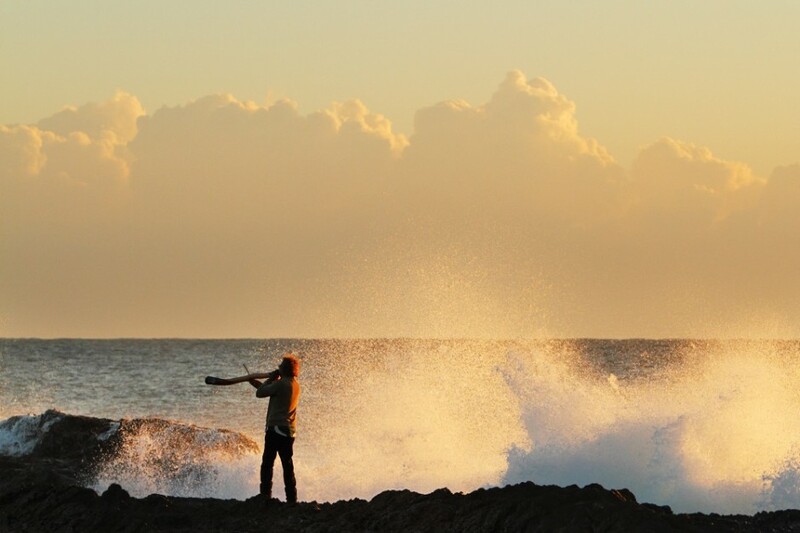 Russel's a friendly character frequently seen with didgeridoo at dawn at Snapper Rocks. According to local surfers, he's often there blessing the ocean and doing whale calls. 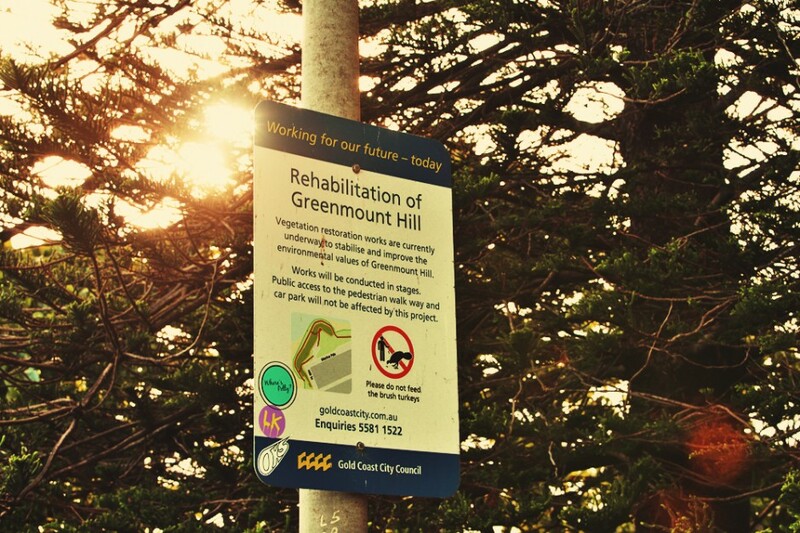 Greenmount was probably the spot I gravitated to most, not just because it was right on my doorstep, but because it has such a nice feeling to it. The greenery covering the bluff and the slightly less competitive crowd make for a very mellow experience. The soft-spoken Mal Sutherland is one of the most fascinating characters I’ve had the pleasure of meeting. The veteran surf photographer, and now chairman of Surf World Gold Coast, kept me rapt with stories of the early days of surfing the Goldie. “It was different when I started surfing…I’ve lived here all my life, been on the beach since I was 4, and got my first surfboard when I was 13 in 1953, it was one of those big 16 footers," he says in response to my mentioning it’s hard to imagine the now surf mecca of the Gold Coast in quieter times. 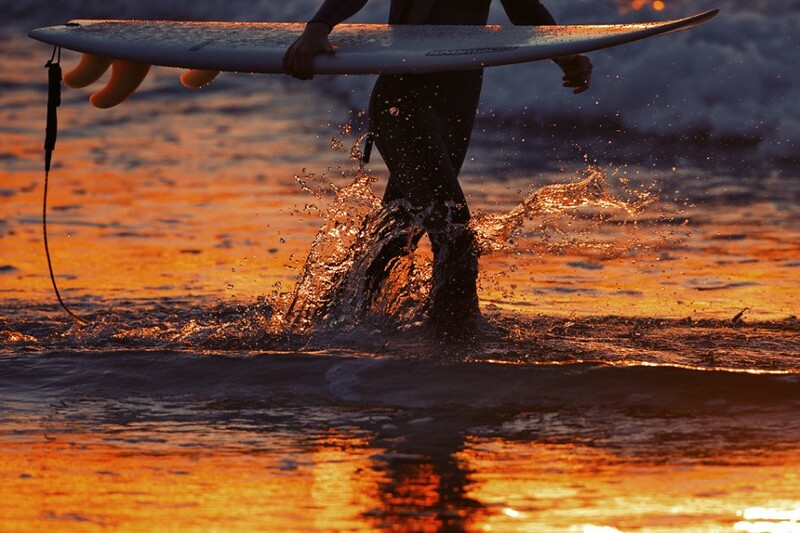 He continued: “We could surf around here by ourselves, the Gidget movie changed everything, never the same after that – 1960 – suddenly there were guys who’d never seen surfing before, driving around with surfboards bolted to the roof of their cars, they never took ‘em off! Now they arrive in six packs; six surfers at a time!” (laughs). 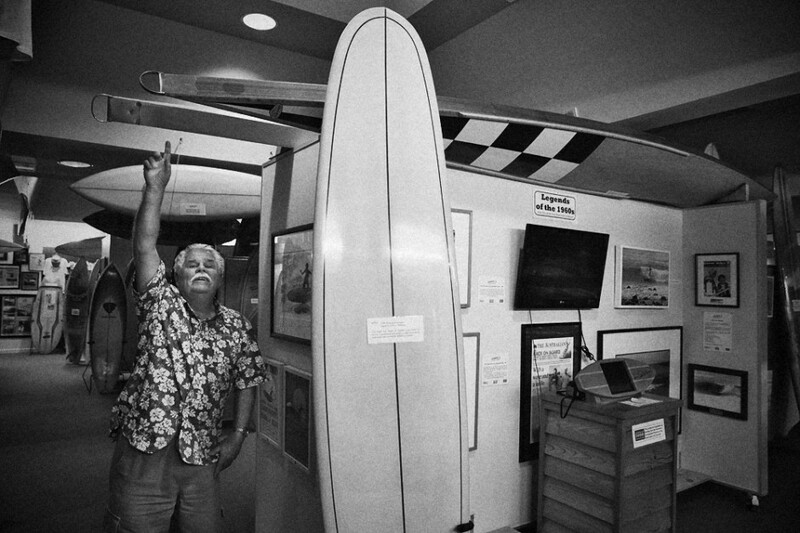 Here he’s pointing to the tail of one of those gargantuan boards, the type he would’ve been riding in the early ‘50s. The handle was what they used before the advent of leashes – can you image trying to hold onto that thing in a mass of whitewater? 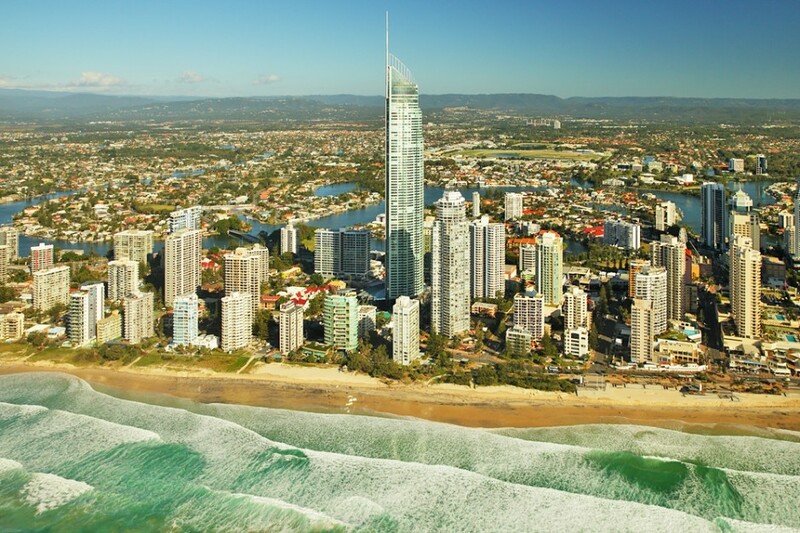 Surfers Paradise is a slight misnomer, the really good breaks being to the north and south of the built-up area. But come sunset it's fair to say it's a photographer's paradise. The ecosystem on Greenmount Hill is carefully managed, which means sometimes the old vantage points used to check the surf have become so overgrown you can barely see the waves. As one local put it one morning while I was taking the picture above: "The trees are taking over!" 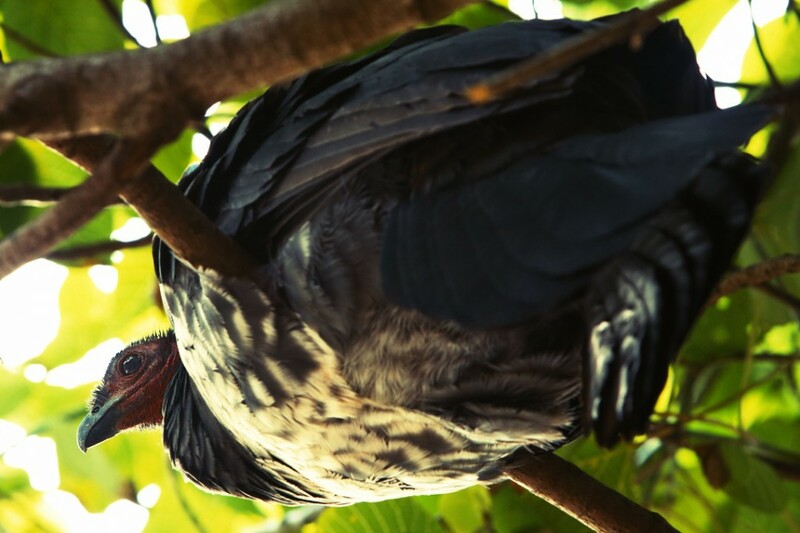 You may have noticed the plea not to feed the brush turkeys on the Greenmount regeneration sign above. Well, they are everywhere, and on one of my first days, as I was busy concentrating on some surf shots, little did I know this one was lurking above me. A thoughtful passerby pointed it out: "You wanna watch your camera mate, he might do something on it." This is a great view from the heli, giving a sense of how the breaks line up. 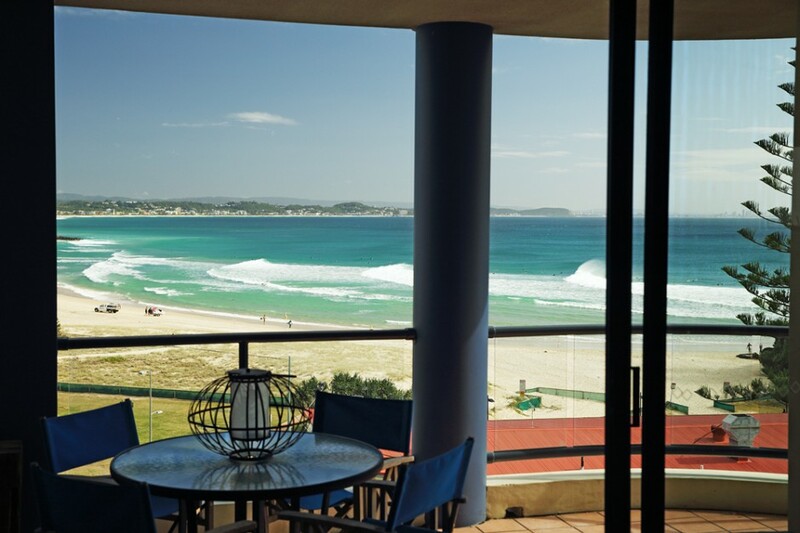 In the foreground a good set is firing through Snapper Rocks, with the surf club, the flat building on the first right-angle, then Rainbow Bay, Greenmount Hill, and Kirra being the headland in the distance. 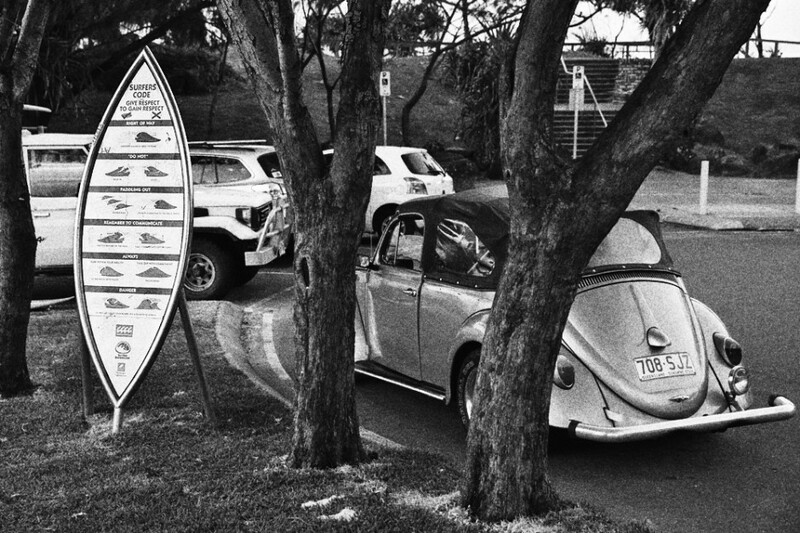 The surfing etiquette sign in the car park at Snapper draws mixed reviews, but my sense is it's a good idea given the sheer volume of annual visitors. It's definitely not all glory at Snapper. 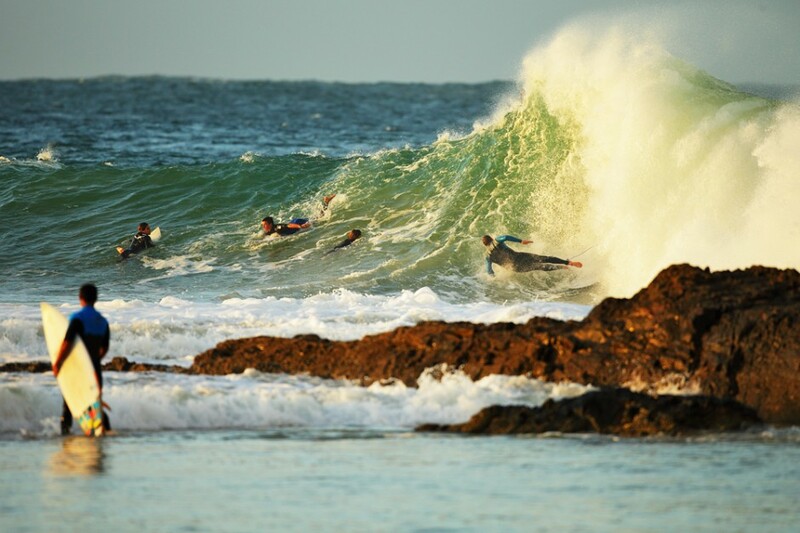 In fact, the takeoff behind the rocks can be pretty challenging and should be left to advanced surfers or pros. Even good surfers don't escape the backwash and steeply jacking takeoffs. 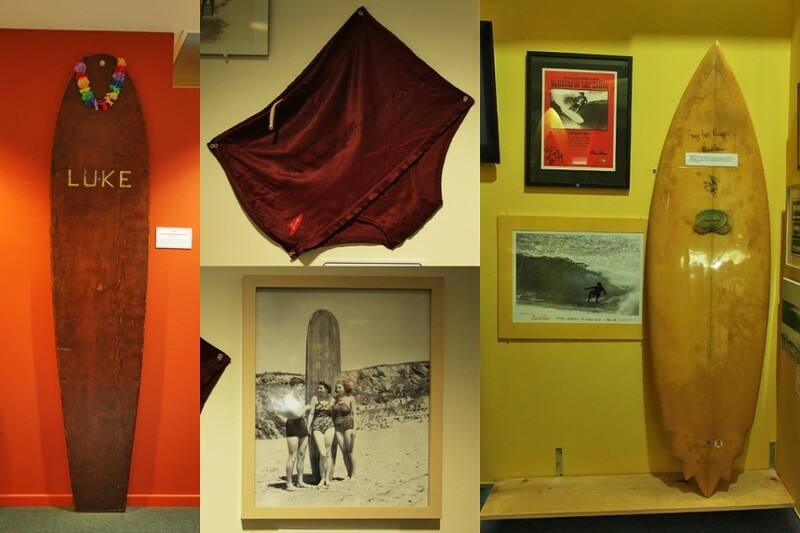 The Snapper Surf Club is almost another Surf World, such is the history imbuing these walls. A couple of things to note in this picture: Each step bears the name of former Quiksilver Pro winners, Kelly Slater having won a record three times. Also -- as if you could miss it -- you can't just rock up barefoot straight out of the surf for a drink; you've got to put some shoes and a shirt on! A little tip that was passed on to me is that the food is pretty decent and very reasonably priced -- but don't forget ID, because, even if you're not drinking alcohol, you have to prove you're from outside the area; anyone living locally has to be a member to be served. Mitch Parkinson is set to follow in his cousin Joel's footsteps. Mitch is a precocious talent, and you can see the fruits of growing up in Rainbow Bay with the speed at which he surfs, and particularly his keen tube sense. He and a couple of his mates took me off to a secret spot one morning where he found some very hollow barrels, including this one he's standing straight up in. It's not all high-performance surfing and crowd pressure -- there are moments of quiet solitude amongst the thrum. 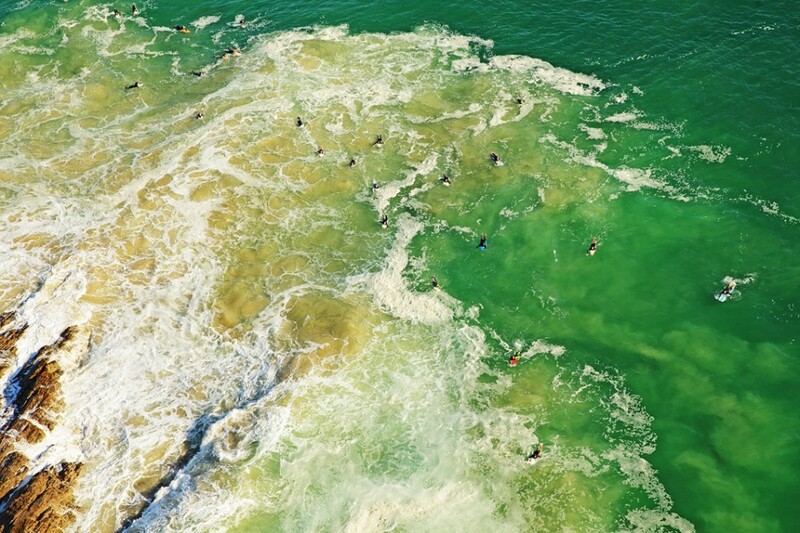 Whitewater, foam, sand bloom, and surfer patterns from the air, after a passing set at Snapper Rocks. One thing you see a lot of on this stretch of coast is people walking carrying surfboards. That seems obvious, but what I'm really getting at is that in most other places in the world surfers will catch a wave and then paddle back out. 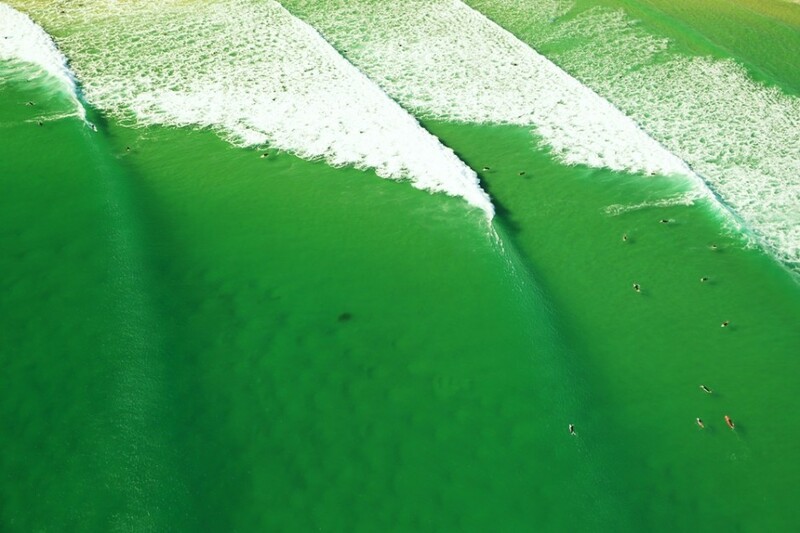 This is not really the done thing at Snapper, Greenmount, and Kirra, as the waves are so long and the current sweeping down the points tends to make paddling back out difficult. Instead, surfers tend to surf in at the end of a wave and save their shoulders by walking back through the shallows to the takeoff spot. Much of the time it looks like a human conveyor belt! 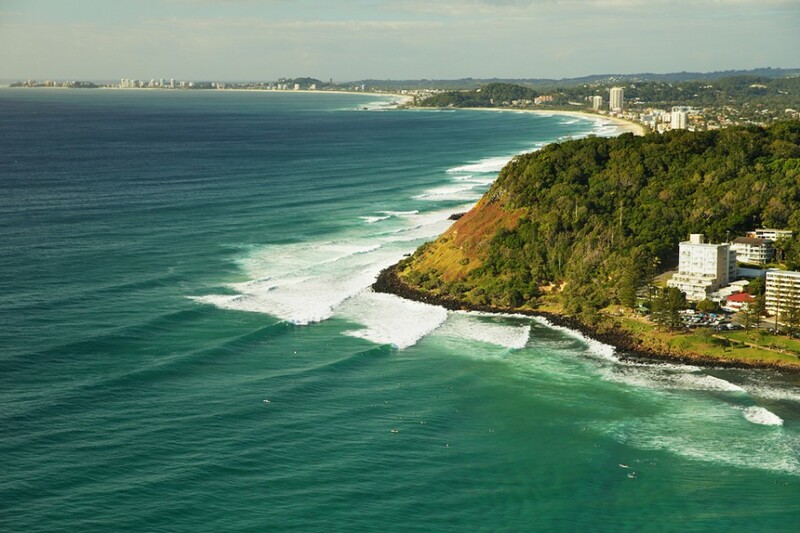 Currumbin, which lies between Coolangatta and Burleigh and plays host to Surf World, has a few nice waves of its own and is well worth a look. 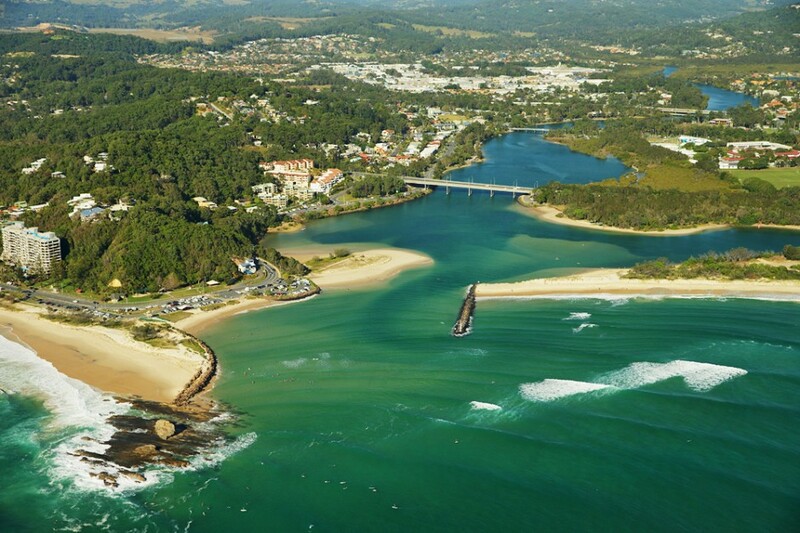 Here you can see the Gold Coast Highway crossing Currumbin Creek and the surf break in the foreground (with a few surfers dotted around), which is known as "The Alley." Surfers Paradise shimmering in a heat haze with sprigs of Norfolk pines protruding into the frame on theright. The Norfolk pine, indigenous to Norfolk Island (which lies approximately 900 miles east of Brisbane) could be mistaken for being a Gold Coast native. 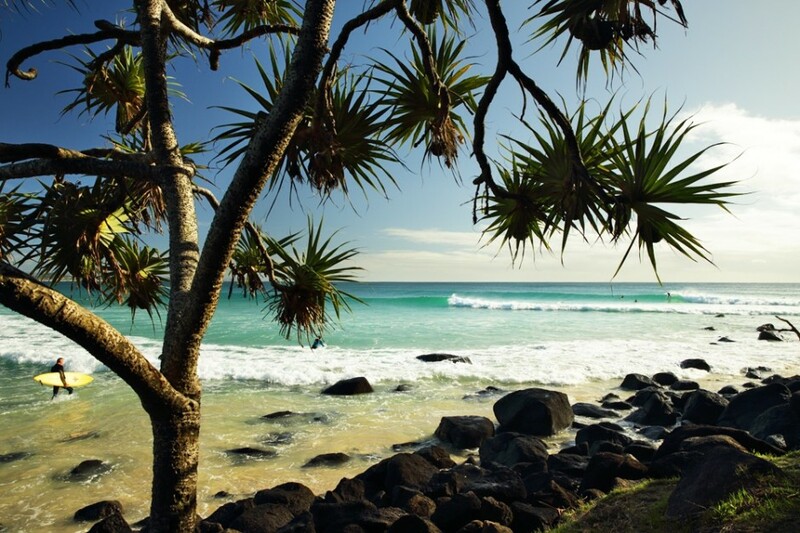 The beautiful trees line many of the roads around Coolangatta, thriving in the salt air and warmth, and are very much a feature of the area. 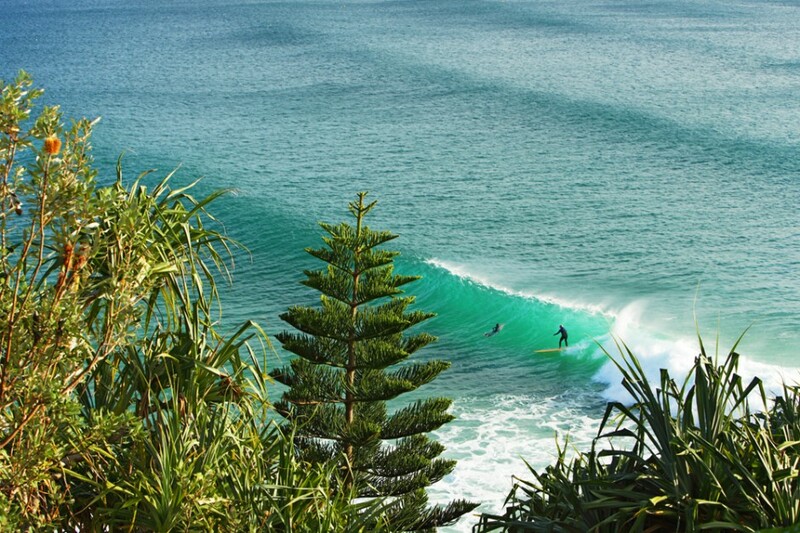 Very few places in the world are blessed with stretches of high-quality waves in the way the Gold Coast is. In the foreground is the famous pointbreak of Burleigh at Burleigh Head National Park, a fantastic break when it's on and a beautiful place to camp surrounded by greenery and wildlife. In the distance, the bay curves towards Kirra and then on to Snapper in the far top left. Just off the plane and there's no question where you are in the world. 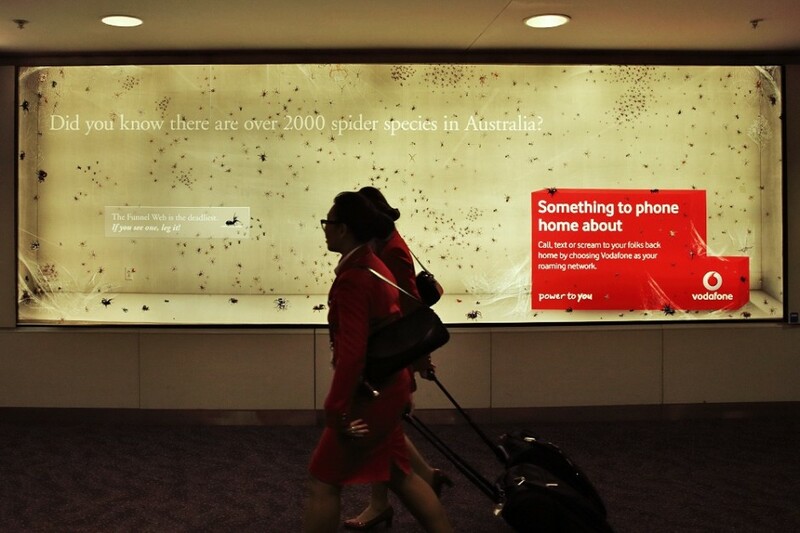 Where else would a telecommunications company use the fact that they operate in the most spider-infested country in the world for marketing purposes -- particularly taking time to single out the funnel web?! It's a characteristic of Australians to be blase about life-threatening creatures -- arachnophobes need not apply!